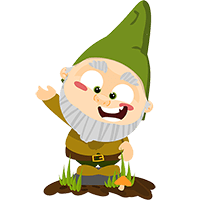 The sooner you wrap your brain around the idea that a few weeds or weed patches in the lawn is normal, the happier you’ll be with your organic lawn maintenance program. Many “problems” with the lawn are more like minor annoyances. Unless the problems result in a full-scale death of the turf, many aren’t even worth worrying about. Many can be avoided or solved with good cultural care or manual intervention, rather than with chemicals. 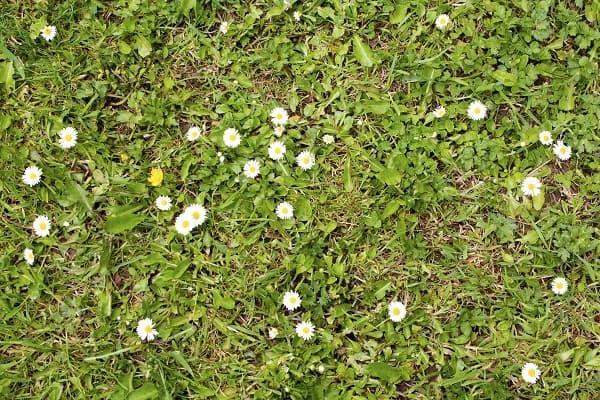 Here are some of the most common lawn problems and the organic solutions. If you find yourself with a problem that isn’t on this list, consult with your local co-operative extension agency or local garden centre for solutions. 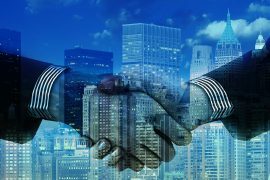 Contractors may seem like the logical go-to, but many turf care contractors are intent on profit, not solutions that are crafted especially for your situation. 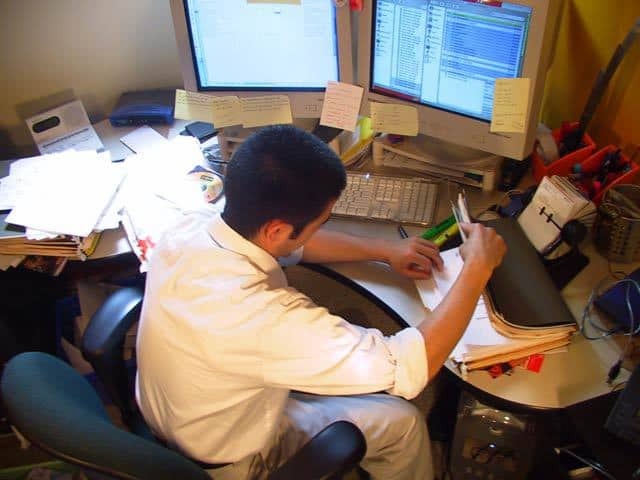 If you trust your contractor, then by all means, ask them for an action plan. Good care will get you 90 percent of the way in terms of weed management. Mowing grass at the tallest recommended height will cause the grass plants to shade out any weed seeds that might germinate. It’ll also encourage deep roots that out-compete weeds. There’s some indication that corn gluten meal can be used as a pre-emergent herbicide to prevent annual weed seeds from sprouting. It should be applied in early spring and again in the late summer to prevent winter weeds. Research has shown it takes at least four to five years of application to get consistent weed suppression. When using this in your garden spaces, remember that it inhibits all seeds from germinating in the soil. While this is great to keep weeds down, it also means desirable species will also be kept from germinating. 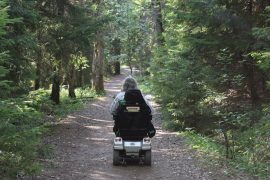 Otherwise, your best method of control beyond good cultural care is to hand-dig or pull large weeds and continually mow smaller weeds before they have the chance to set seed. Prevention is key. By pulling weeds before they go to seed, you’ll eliminate a lot of headaches. You can burn weeds with a propane-powered, handheld flame-thrower or spray individual plants with vinegar, but it’s just as easy to pull them. If trying the vinegar route, use horticultural vinegar—it’s much stronger than household vinegar. Just know that the acidity in vinegar will lower the localized pH around the weeds you’re spraying. Brown spots, both regular and irregular, are usually a symptom of bacterial or fungal diseases. Staying off the grass when it’s wet is one way to control the spread of these diseases. Keep the thatch layer under control, avoid over-fertilizing and promote good airflow to prevent fungal diseases. Should you have to treat a fungal problem with a fungicide, make sure to topdress with worm castings to reinoculate the soil with good bacteria and fungi. Just like when you get sick and have to take antibiotics—to speed recovery you have to follow the antibiotics with a course of probiotics to re-inoculate yourself with good bacteria. Isolated patches caused by pet urine require repair, if not prevention. Thoroughly flush out the affected area with water. Then spread a thin layer of compost or worm castings on top and overseed to re-establish the grass. Then take your dog for a walk next door or at the dog park! 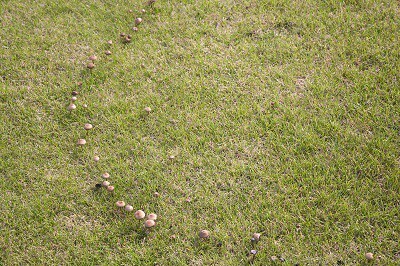 “Fairy ring” is a common lawn affliction characterized by a ring of mushrooms sprouting in the yard, or a ring of turf that’s greener than the surrounding turf. These are just the evidence of fungi growing underground, feasting on decomposing organic matter and releasing nitrogen. Eventually the fungi will consume the food source and wear itself out. If you find them annoying, you can rake and remove them from your lawn. 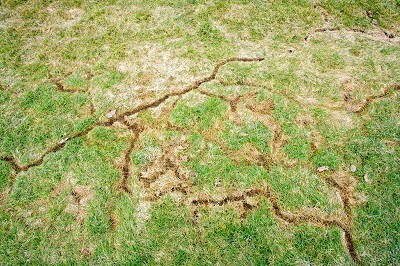 Chinch bugs, mole crickets and sod webworms are three common lawn insect pests. Most can be prevented with good cultural controls, such as keeping the thatch layer to a minimum, watering appropriately and avoiding drought stress, and mowing at the proper height. There are organic remedies available for all three as well, including insecticidal soap for chinch bugs, Neem oil for mole crickets, and Bt and pyrethrin for sod webworms. As always, any sort of chemical intervention should be a last resort, as all chemical remedies will disrupt the natural balance and ecosystem of the lawn. 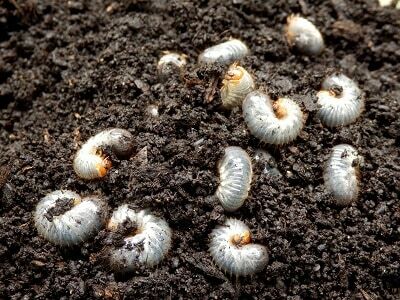 Grubs are the larvae of different types of beetles. They eat plant roots and attract moles. 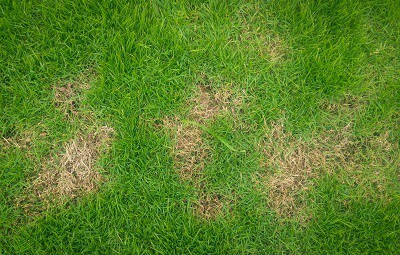 Grub damage is most pronounced during August and September and is characterized by widespread dead patches in an irregular pattern across the lawn. You can easily peel up pieces of lawn where grubs are present. You can control the grubs of Japanese beetles by applying milky spore in the fall when the larvae are active in the soil. Other grub species can be controlled with healthy populations of soil-dwelling nematodes. Enhance beneficial nematode populations by adding compost and/or worm castings. Beneficial nematodes can also be purchased and applied to the lawn if the soil isn’t hosting a sufficient population to control grubs. Voles eat plant roots, and their “tunnels” are usually on the surface of the soil. Moles and voles are some of the worst mammal problems in lawns. Moles tunnel underground looking for grubs, so if you treat the grubs, the mole problem will go away as well. Mole tunnels are raised mounds with live grass above them, while vole tunnels tend to be pathways of destruction through the grass. Voles eat plant roots, so they are the more destructive mammalian pest. Unfortunately, they are also protected in many states. If you have a mole or vole problem, one solution might be to get a cat or a terrier dog. 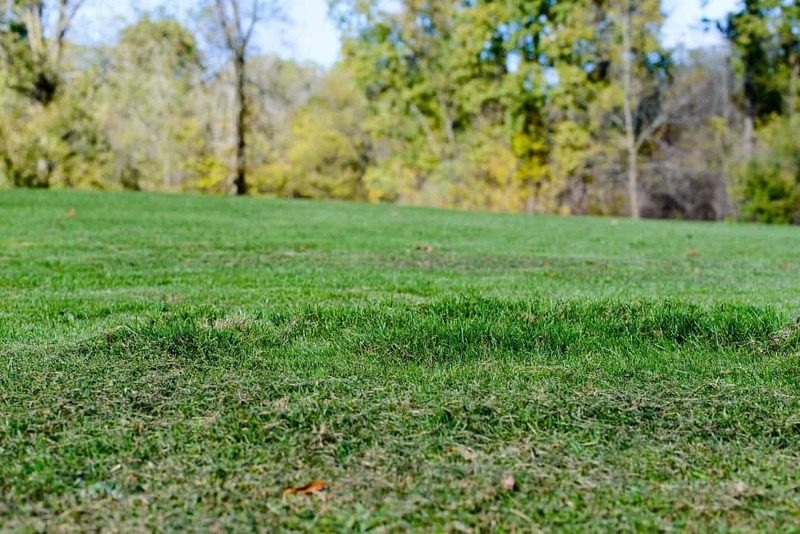 Moss will only out-compete grass and take over in areas if conditions aren’t favourable for grass to grow. Moss thrives in shady areas with compacted soil that has low fertility and an abnormally high or low pH. Before you decide to try to treat moss, ask yourself, “Is it really important to have a lawn here?” If you just want something green and easy care, leave the moss. Some people even plant moss “lawns” because they’re easy to grow and have a Zen-like feel. Mark Highland, “The Organic Mechanic,” owns and operates The Organic Mechanic Soil Company. With academic training in environmental horticulture, composting and potting soil, Highland is a sought-after speaker at garden centres, trade shows and similar venues to promote, educate, and inspire others in regard to the many rewards of organic gardening. He has taught classes at Longwood Gardens, The Tyler Arboretum, Mt. Cuba Center, The Scott Arboretum and Callaway Gardens, and speaks regularly at public events like The Philadelphia Flower Show, as well as to numerous garden clubs. 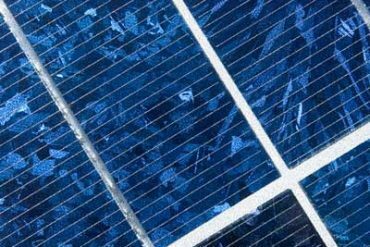 Highland has served as a consultant for the EPA and Institute for Local Self-Reliance, and recently received the Young Professional Award from the Perennial Plant Association. 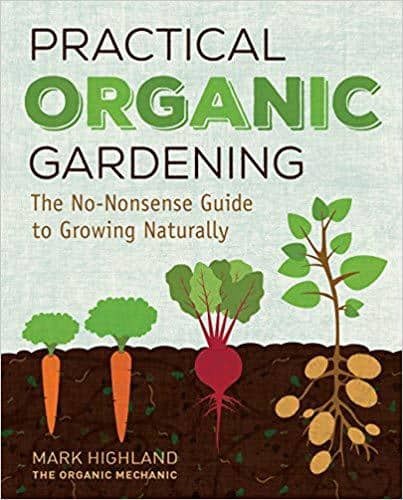 Excerpted from Practical Organic Gardening: The No-Nonsense Guide to Growing Naturally, © Mark Highland, published 2017 by Cool Springs Press, an imprint of the Quarto Group.